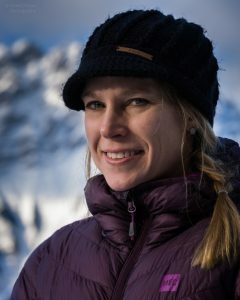 Nancy O'Hare is a Canadian travel writer and author of Dust in My Pack. She combined her career with a love for travel, resulting in a lot of moves but being able to live and work across five continents over twenty years. O'Hare's husband shares her passion to visit distant lands and captures remote scenes in his photography. Together, they have transitioned from a corporate career to pursue their creative pursuits. O'Hare captures moments from multi-month journeys to off-the-beaten path locations in her book. Her writing conveys a passion for nature and intriguing cultures found by exploring all seven continents. O'Hare's travel writing structures stories into themes, such as trekking or ancient sites. Inspire your inner traveller with her refreshing perspective on little-known destinations. Dust in My Pack is available as an ebook and paperback at most online bookstores. A second book is expected later in 2018. I love to travel. I also like to surprise people with an unexpected perspective about a place. I find you see a different side to distant destinations when you visit them for yourself rather than listening to news stories or generic overviews of a country. My writing captures my most unique experiences in off-the-beaten track places that most people never get to see. I write about travelling to little-known destinations, so part of the process entails a lot of travel. I have visited over seventy countries and lived across five continents. My books are structured by theme and by country, for example trekking and ancient cities are chapter topics. When travelling, I take lots of notes and write draft descriptions of special moments that ignite my passion for travel. Once back home, I finesse the writing, get feedback, edit and re-edit before sending my final manuscript to my editor, proofreader and cover designer. In between editing, I love to get out hiking and running. It clears my head. For self-publishers: Hire a professional editor and cover designer. For all new authors: Pay attention to quality, the readers deserve it. Self-publishing allowed me the control and freedom that I wanted. I believe there is a place for traditional publishing and self-publishing. Name brand and public exposure of more famous "known" authors plays well into the traditional publishing arm, while new writers can still get into the game through self-publishing without needing to convince a publisher upfront.